U.S. retail sales of medium-duty trucks in March notched a slight gain as they pushed past the 20,000 level, WardsAuto.com reported. Sales in Class 4 through Class 7 reached 21,135, up 3.8% compared with 20,362 a year earlier, according to Ward’s. For the first quarter, sales rose 6% to 55,041 compared with 51,912 in the first three months of 2017. “Stability is a basic tenet of the medium-duty market, especially when you compare it with the heavy-duty market,” Steve Tam, vice president of ACT Research Co., told Transport Topics. 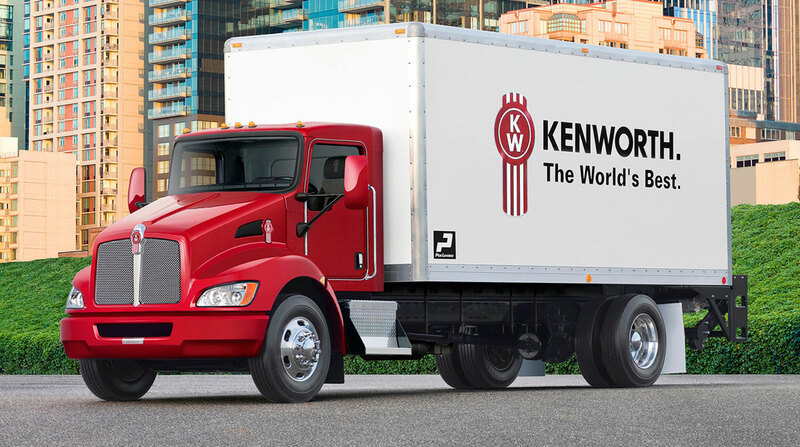 The volatility in the Class 8 segment is driven by the freight markets and carriers, “but the medium-duty market participates in every facet of the economy, not just the goods side, but the services too,” Tam said. Medium-duty fleets replace trucks and grow when they have to, “but other than that, they don’t tend to alter their trade cycles or chase the waves. It’s not nearly as exciting [as Class 8 sales],” he said. ACT is forecasting classes 4-7 sales in 2018 will be 240,000 compared with 235,000 a year earlier. Meanwhile, Class 7 sales rose 2.1% to 5,046. Freightliner claimed a 52% market share with 2,635 trucks. International sold 997 trucks, good for a 20% share. International is a unit of Navistar Inc.
Class 6 sales slipped 6% to 7,197 in a hotly contested segment. Ford Motor Co.’s sales were 2,168. International sold 1,945. Freightliner sold 1,860. Sales in classes 4-5 rose 14.6% to 8,892, influenced in part by e-commerce needs. But the overall growth “tends to be more subtle than that,” Tam said. “It has been a very migratory journey, and one that has been a long time coming, as well,” he added, referring to the steep decline in this segment during the Great Recession beginning in December 2007 and ending in June 2009. In related news, Eaton Corp. has increased the horsepower and gross vehicle weight ratings for its medium-duty Procision 7-speed transmissions. The new ratings were added to expand market coverage to a broader range of potential customers and to increase compatibility with additional diesel engines. Horsepower ratings have been increased to 300 from 260, with maximum GVW ratings increased to 35,000 pounds on air brake-equipped vehicles and 33,000 pounds on Park Pawl-equipped vehicles.